Format-List, or FL for short, allows PowerShell to control the output of your main script. Whenever presentation of information is important, pipe the script's output into Format-List (or Format-Table). On this page I will show you examples of this straightforward, but important command. Scenario: We wish to investigate the DHCP service running on workstation or a Windows Server. PowerShell and .Net framework are installed on your computer. You are at the prompt PS> Or if you have PowerShell 2.0 or later, launch the ISE. 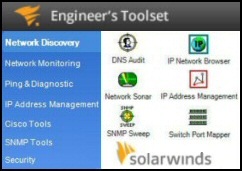 The ‘problem’ is that we want to home in on just the DHCP service, furthermore we want to display more properties. Now let me introduce Format-List so that we can better control the output. Note 1: Thanks to Format-List we now have information about DHCP that we needed. About the only thing that can wrong with Format-List is forgetting the pipe (|) before the command. The secret is to get the main command working then use (|) to pipe the output into Format-List. From there you list the names of the properties you wish to display. For many cmdlets, especially those with more than 5 properties, Format-List is the default method of displaying the data. 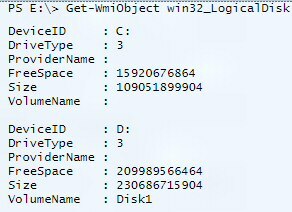 Thus it’s often a case of, ‘How do I choose the properties or columns and then display them with Format-Table’, this is especially true when working with Get-WmiObject classes. Here are alternative methods of achieving the above objectives, each example is designed to develop your binocular vision, hence see the target more clearly. For example, if you experiment with format-wide and Format-Table you will extend your range of formatting options. Learning points. You can substitute FL for Format-List. Actually, lower-case fl works just as well, I use the capital form because l could be mistaken for I. You can also use this as an opportunity to reduce the number of properties displayed in the output. Learning points. In addition to property, you can research an object’s method. For instance, in other scripts you may wish to employ the .kill() method. 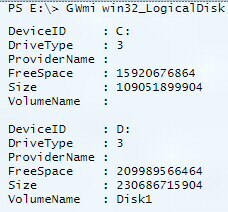 Scenario, you want check C:\Windows for non-Microsoft files. Learning Points. This script will list all executables in the Windows folder that don’t belong to Microsoft. I thank Gary Mitchell for sending this PowerShell script. Note 2: Out-GridView: PowerShell v 2.0 introduces a new cmdlet to control data display. See more on how to pipe the results into out-GridView. Scenario: we wish to investigate processes running on workstation or a Windows Server. The ‘problem’ is that the name of the process is on the right, and we have columns in the output which are of no interest. Now let me introduce Format-Table so that we can control which properties to display in the output. Let us suppose that we are only interested in ‘Handles’. 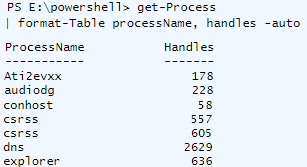 Note 3: Thanks to Format-Table we now have the name of the process in the first column. Note 4: -auto prevents the output spreading to the full width and consequently, the -auto parameter makes the figures easier to read. To see the effect try the above command without -auto. Get-Process | Get-Member -Membertype method | Format-Wide name -column 3. Presentation really does transform the output of your PowerShell scripts. Also, when you get too much information the answer is to filter and reduce the number of columns in the display. On other occasions, you need to display extra properties, which are not shown by the default command. In each case, Format-Table gives you control over the presentation of your output. While format-List (or FL for short), is a ubiquitous command, it does have numerous switches. With judicious application of its many switches, you can produce creative and effective outputs. 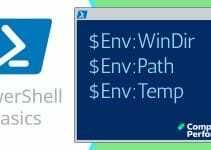 Windows PowerShell – Expression Mode or Command Mode?